With most of your dollars going into Facebook advertising, it makes total sense that you want to get the most of your hard-earned money. Did you know that more than 80% of social media advertising is spent on Facebook? Not surprising at all. You can discover which posts foster the most engagement (Via shares, likes and comments). Learn about the time-frame in which your Facebook audience participation is high. Facebook Analytics is a pretty powerful tool for all those business people who want to track the user interaction on any Facebook Fan Page. Facebook Insights can be seen by all the admin’s of your specific pages, and this will help you track the number of active users, thus bringing a better understanding of your page performance. Facebook Insights is a robust tool that helps digital marketers explores users’ interactions with advanced sales funnels and goal paths for Facebook Ads. Analytics helps you as the marketer or the business owner understand and optimize the complete customer journey across mobile, bots and web. Facebook uses analytics to provide a wealth of data and information to companies about their audiences. 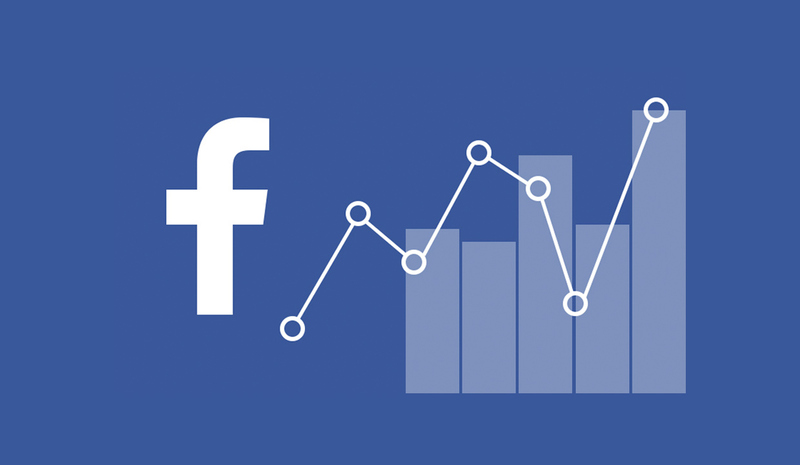 How Do You Go About Getting The Most Benefits From Facebook Analytic Updates? For you to learn a successful digital marketing campaign, you have to rely on data. The analytic tool can provide vast information to your company or business about your target audience. The analytic tools allow marketers to have a glimpse of various activities like people’s interactions with your company, allowing you to optimize the audience journey based on these interactions. In “The People’s” and “section”- you are capable of creating segments that will help you learn about the group of people using your product. Based on these segments, you will be able to create the needed audiences. “The Activity” can be used to see, evaluate and schedule funnels, active users, cohorts and online sales. The metrics tools will help in the creation of segments which enables you to learn more about groups of people using your products, then assist in the creation of custom audiences based on the segments. All the data extracted from analytics can be well--crafted, organized and be used in Customer Relationship Management (CRM) platform. This data, when combined with other data from your customer service teams and sales, help you get a clear picture of your true customers. Once the data is analyzed and well--organized, it will help your marketing team reach leads more efficiently. Why Use Analytics for Your Company? Facebook helps you understand the audience. Helps you see customer interactions with your company - Android, iOS, Facebook Pages, Bots and offline. The marketers can learn about the ways to drive more traffic to the site, optimize it and add value business growth. It helps e-commerce businesses to learn about people who comment on product items listed with a Facebook post. You, as the marketer, can use Facebook analytics to create groups which can be defined by events; demographics install sources and device information. You may use segments as filters in the overview, people’s and activity sections whenever creating a push notification and in-app notification campaign. Events - Actions people take on your website that defines. Device Information - The device a person is using. Demographics - This is the elementary age, gender, language, and country information. User properties - Custom data such as membership number. Web parameters - Data related to web events such as referrer domains. Once you know the segments, you can create a custom audience. People involved in this segment are Facebook users and can be the primary target for the Facebook ads. When doing any Facebook ad campaign, with the customer audience you can specify ad account, segment and period for customer audience. In the activity section, you have subsections like Cohorts and Funnels. Funnels are series of events that help you measure the rate of conversion. With funnels, you can find opportunities and optimize your website, product or mobile app. On the other hand, a cohort is a group of people performing two same events during a given period. For example, adding an item to a chart and completing the purchase. Use cohorts to help you understand people's behavior, customer retention, repeat purchase rate and lifetime value. User retention is the percentage of people who completed a second event of the cohort during a given period. Use this information to determine retention before and after releasing a new update of your product, mobile app or website. Cumulative Events - Number of users per event in the cohort. Value retention - Percentage value of people who completed consecutive purchases. Cumulative values - The value per user in the cohort. In any updated Facebook Analytics, you can see the number of active users, number of organically generated sales, etc. The active users are grouped by gender, age and completed sessions. There are three essential metrics in any Facebook update from uniques users, monthly/weekly/daily users and stickiness. Stickiness is the ratio between regular active users and monthly active users. This helps in measuring how engaged your users are. The user is your contact. Understand the relationship between communications, which products they own, assets they have, the channels they prefer and their locations, relationship with your employees, your channel partner, and agent/brokers. Data and information from Facebook and its analytics tools are invaluable to companies. When the data from analytics is used together with data from sales, customer service platforms, and marketing, it becomes valuable insights about your market and customer. This will help grow your business efficiently.